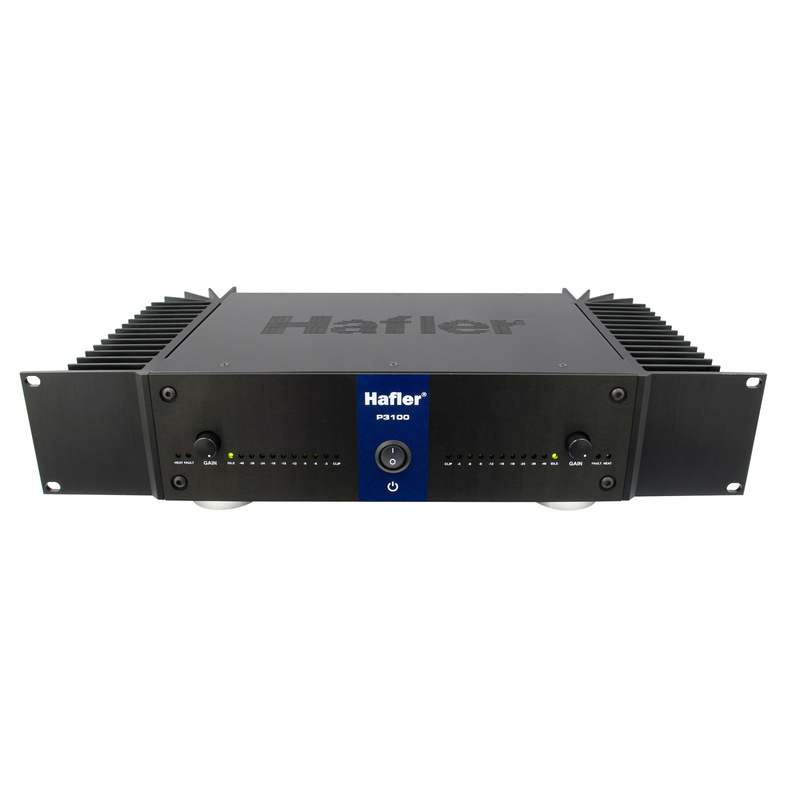 The Hafler P3100 is a 2-channel power amplifier that is equally at home with the most discerning audiophile as with the most demanding studio recording engineer. David Hafler pioneered the use of MOSFETs during the 1970’s as a means to approach the even-order sonic character of tubes, while transitioning to the more practical side of discrete solid-state electronics. Over the years his designs have proven to be extremely fault tolerant even in abusive situations. This sturdiness enables the amplifier to drive reactive speaker loads without the performance-degrading sound penalties imposed by elaborate protection schemes. Lateral MOSFETs were designed specifically for linear audio amplification with their high speed and superior sonic characteristics compared to the vertical MOSFETs or bipolar output transistors used by many other amplifier makers. Inside the P3100 is the latest refinement of the Trans•Nova (TRANSconductance Nodal Voltage Amplifier, US Patent 4,467,288) circuit that was developed by industry guru Jim Strickland. The Trans•Nova circuit squeezes the most out of every component to reduce the gain stages down to three in lieu of the five typically employed by others. The shorter path results in a much more open sounding and realistic sound stage. In this latest iteration, a toroidal power transformer has been introduced. This has a lower output impedance and produces far less noise than a conventional E-lam transformer. The result is a tighter, more defined bottom end. As well, toroidal transformers are inherently self-shielding which reduces the amount of potential low frequency and rectifier noise introduced into the audio signal path. 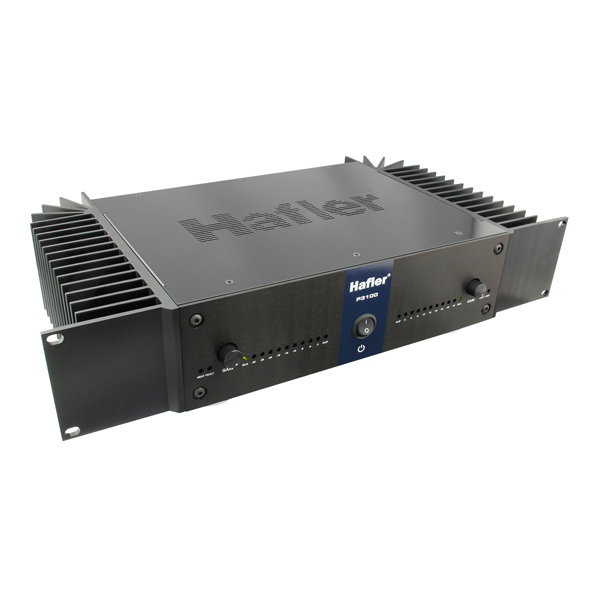 Passive convection cooling, with over-sized heatsinks, surround the amplifier eliminating the need for a fan, thus enabling the P3100 to be used in the most intimate installations. The front panel includes individual level adjustments to offset room imbalances, signal present and ballistic LED metering, along with indicators for faults due to excessive heat or short circuits. A soft start power-on switch protects loudspeakers from turn on transients that could reduce lifespan. The rear panel sports a choice of XLR and gold plated RCAs for greater flexibility. Output connections feature gold-plated binding posts that can adapt to all popular speaker cable sizes. In use, the Hafler P3100 is rich in detail, depth of field and musicality. 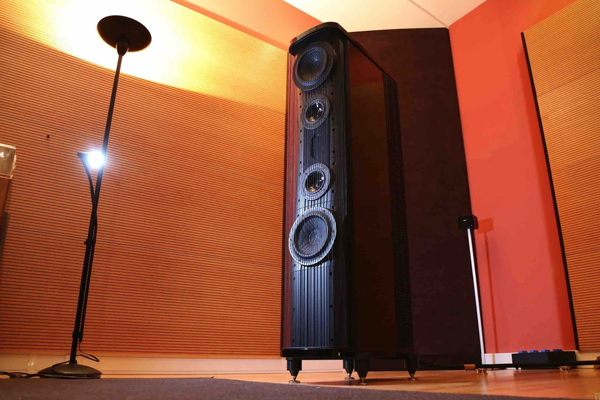 With 150 watts of available power per channel at 8 Ohms and 200 watts at 4 Ohms, the P3100 has plenty of headroom to drive the most power-hungry loudspeaker. Bridged in mono, 400 watts are available for sub-woofers or as a matched pair for larger 2-channel setups. 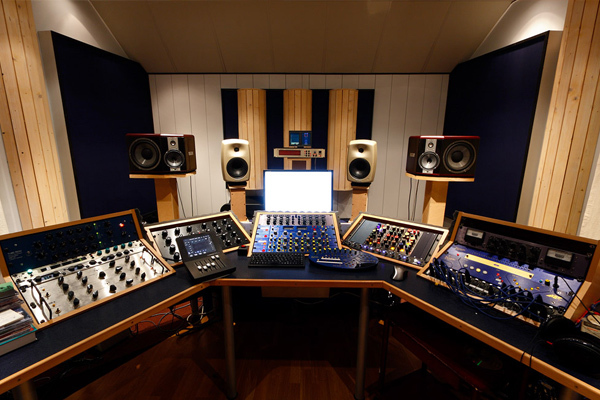 Hafler has a long history of use in professional recording studios with unparalleled sound quality and reliability. The P3100 delivers rich detail and highly linear amplification for the discerning audiophile’s listening room. Trusted by the ‘golden ears’ of the recording industry, two bridged-mono P3100s provide incredible headroom and quality for use in a mastering studio. Do I need to allow the P3100 to warm up before using? The P3100 will work immediately when turned on; however it will sound best after it has reached thermal stability. This may take up to one hour. 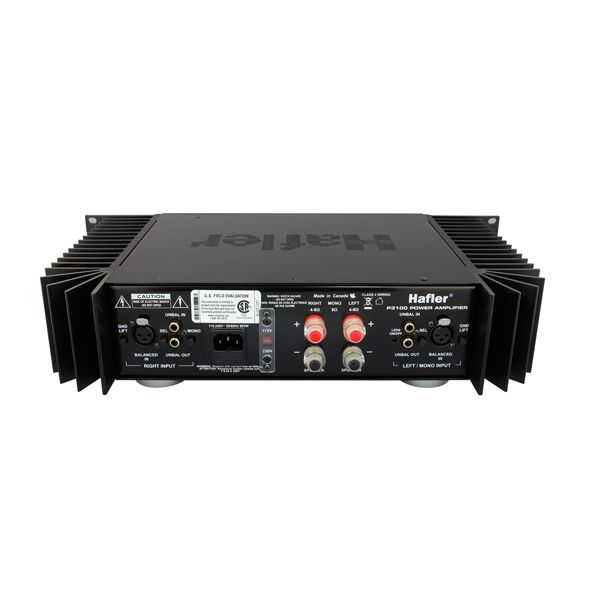 Will disconnecting the speakers when the amplifier is powered up damage the amp? 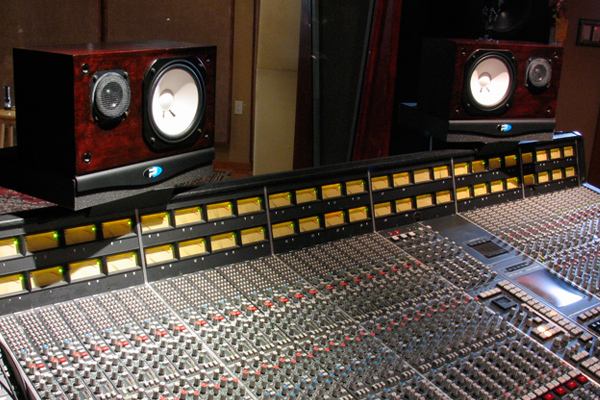 Although you may not damage the amplifier, you can damage other components such as loudspeakers when connecting and disconnecting the speaker terminals. Thus, it is always best practice to turn the amp off when making connections. Is the Hafler P3100 specified in RMS or peak power? All Hafler amps are specified in RMS power which describes the average output of the amplifier when run for a period of time. Peak power is an instantaneous measurement that describes the maximum rail to rail voltage the amp can produce with a minimum level of distortion. What is the difference between a MOSFET and bipolar transistor? The main advantage of the MOSFET over a typical bipolar transistor is that it is much more efficient at managing and producing gain, thus requiring gain stages to produce the same output. Lateral MOSFETs were developed specifically for audio. Although more expensive, these are employed in the Hafler P3100. What is the difference between a class AB and class D amplifier? Class AB amplifiers employ a traditional approach to the amplification with transistors and large power transformers to produce the output. Class D amplifiers employ digital switching to amplify the signal. 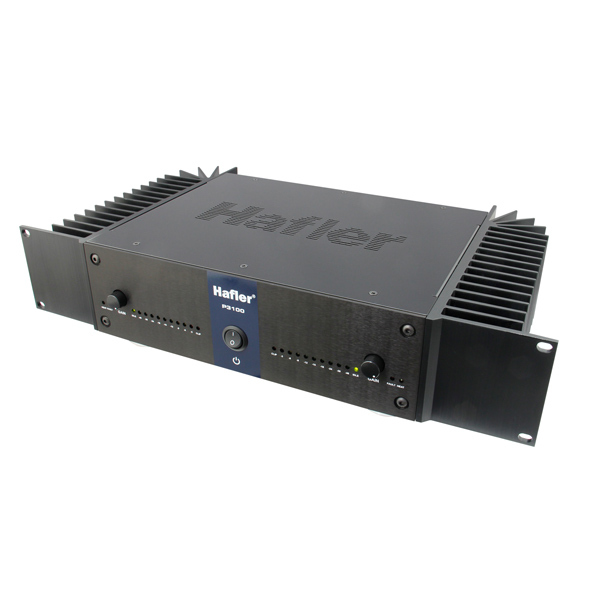 Class D amplifiers are preferred in live concert touring and for commercial installations due to the light weight and high efficiency. Class A and AB amplifiers are preferred by recording engineers and audiophiles for their sonic quality. What is damping factor and what can I do to maximize it? The damping factor is best described as the amplifier’s ability to control the speaker excursion. A higher damping factor will result in a tighter sounding bass. To maximize the damping, it is best to use thick, heavy gauge speaker cables, particularly when driving long cables. What speaker cable gauge should I use with my speakers? As a rule, the thicker the better. For speakers that are within 2 meters (6’) of the amplifier, no less than 14 gauge cables should be used. 12 gauge or even 10 gauge cables made from stranded copper are preferred as these will transfer power more efficiently without loss. Will using the balanced inputs sound better than using the unbalanced inputs? No. The balanced inputs are there for convenience. Internally, the amplifier signal path is unbalanced. Does the P3100 get hot to the touch? No. It will get warm, but not hot. Can I stack multiple amplifiers on top of each other without fear of overheating? You can, although it is common practice to leave an air space between each amp to optimize cooling. Quiet when idling, the P3100 provided my nearfields with plenty of clean power—in fact, way more than was needed to listen at reasonable levels. In my recording and critical listening sessions, the P3100 subjectively had the same essential sound—open, natural and unrestrained—as its discontinued predecessor, the P3000. The amp’s spectral balance sounded honest, with clear midrange reproduction and smooth highs that allowed many hours of listening without fatigue.